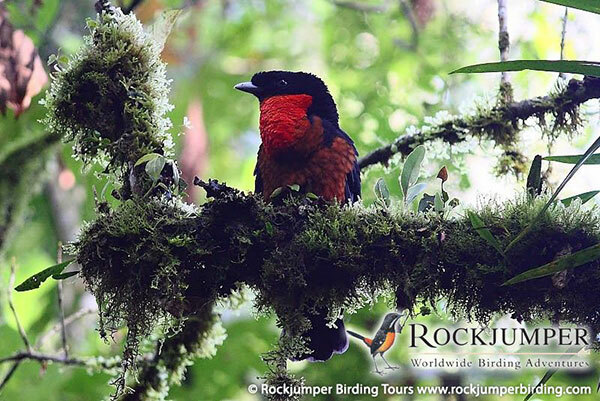 If you are looking for tour company that can take you almost anywhere in the world, check out Rockjumper. They offer over 100 different tours and more than 60 international destinations. Throughout this tour you will be based at a comfortable and beautifully located eco-lodge, situated in the 57,000 hectare Tres Picos State Park only a relatively short distance from Rio de Janeiro. Here you will explore the numerous mosaics of trails around the lodge grounds and take short drives to explore several other habitats and elevations surrounding the reserve. 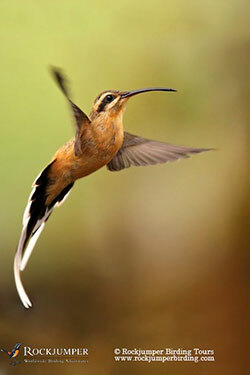 You will also visit the nearby Serra Dos Orgaos National Park that holds a number of special birds. 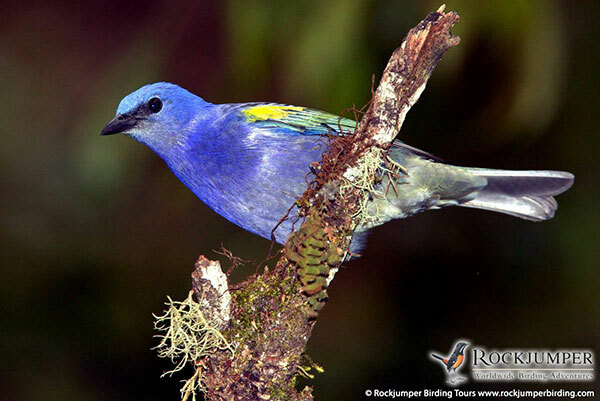 Some of the avian gems that will be sought during this tour include Three-toed Jacamar, spectacular Swallow-tailed Cotinga, Saffron Toucanet, Plovercrest, Saw-billed Hermit, Black-billed Scythebill, Giant & White-bearded Antshrike, Blond-crested Woodpecker, Shrike-like and Black-and-gold Cotinga, and the beautiful Brazilian Tanager. This will be a very comfortably paced tour with no long drives! On some days you will have packed lunches, while on others you will return to the lodge for lunch. There will be ample time to unwind and to enjoy birding from the lodge grounds or even while relaxing by the natural swimming pool. Fruit trays and hummingbird-feeders placed throughout the grounds attract a variety of parakeets, hummingbirds and tanagers. 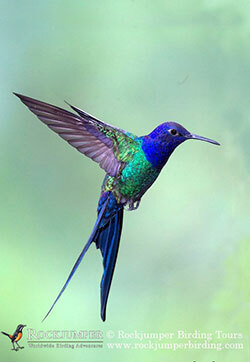 Birds are confiding and photographic opportunities are excellent. This tour captures the best of Brazil’s Atlantic Rainforest endemic bird species, and after a week of birding you can expect to have seen up to 250 bird species, including 70 endemics!